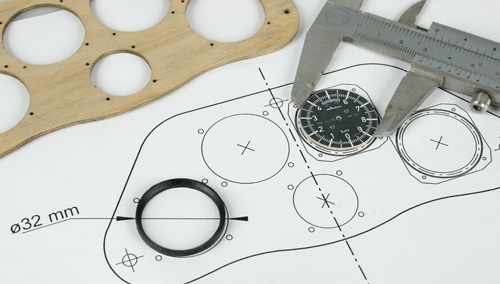 On this workshop page you will find design aids for your individual instrument panel. For all available instruments and stepper drives you can print a PDF as a template or download a *.dxf file for your CAD. 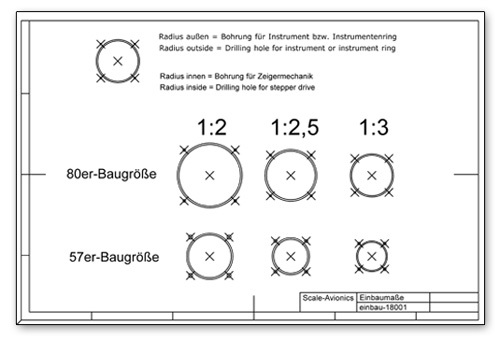 In both cases you will find the bore diameter for the stepper drive as the innert circle and the required bore for an instrument case or an instrument ring in a DIY panel as the outer radius.